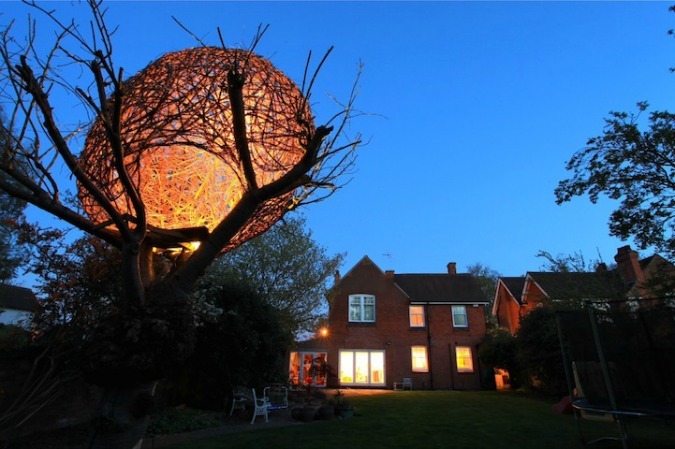 UK-based artist Tom Hare created the Cherry Tree House, a large-scale structure woven from thin boughs of wood into a beautifully spherical shape. 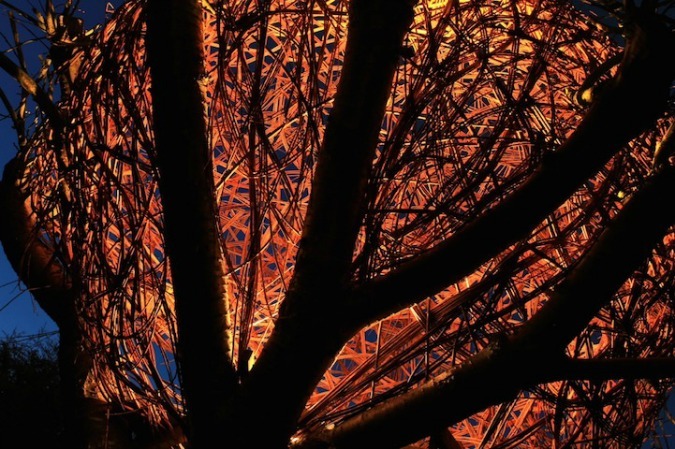 At nighttime, illuminated with lights that reveal the intricate form and texture, the Cherry Tree House truly comes to life, taking on the appearance of a magical home for creatures like fairies high in the treetops. 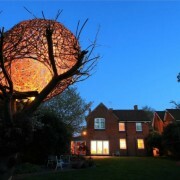 According to the artist, his medium of choice is willow for its many special properties. “There’s something about willow that’s evocative. The smell, the texture, the way it moves,” he says. “The connection with nature, through coppicing and transferring observations into design, can be a humbling experience, and a physical one too.” (source).